Sign for J.S. 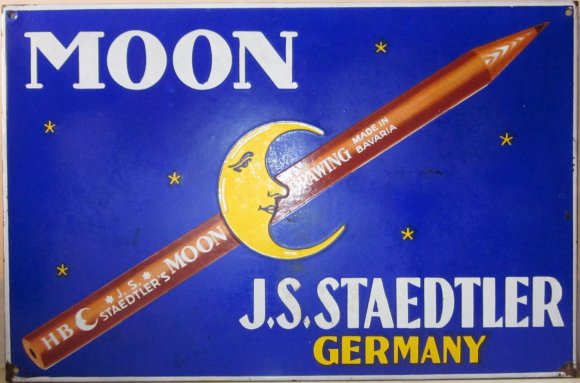 Staedtler Germany. The sign is dark blue with an image of a smiling moon in the center.